Did Grand Theft Auto creators threaten ‘Shawshank’ writer? Hollywood and the video game industry usually have a fairly cordial relationship. Studios need game publishers to put out licensed products for their tentpole films, and game makers are often eager to expand the universe that directors create on screen. 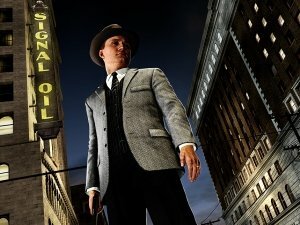 This week, though, there was a fracture in that relationship, as Rockstar Games, creators of the Grand Theft Auto franchise, and Frank Darabont, screenwriter of films like “The Shawshank Redemption” and “The Green Mile” and developer of AMC’s “The Walking Dead,” bickered publicly about an upcoming project, each with a different version of the story.